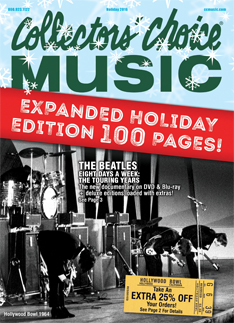 Thank you for your interest in our FREE monthly catalog subscription to Collectors' Choice Music. To request online, fill out the form below and CLICK SUBSCRIBE or CALL a knowledgable sales support representative at 800-923-1122 to get your subscription started. . Select a Title Mr. Mrs. Mr. & Mrs. Miss Ms. Dr.
new products, great deals and exclusive sales.